For the first time, OVALE BEACH MARSEILLE have be crowned SUPER BEACH 5s CHAMPIONS and are truely worthy winners of the 14th LIGNANO INTERNATIONAL CUP. In a weekend where they dominated POOL C, their course to final victory had been well and truly plotted far from the shores of Lignano Sabbiadoro. 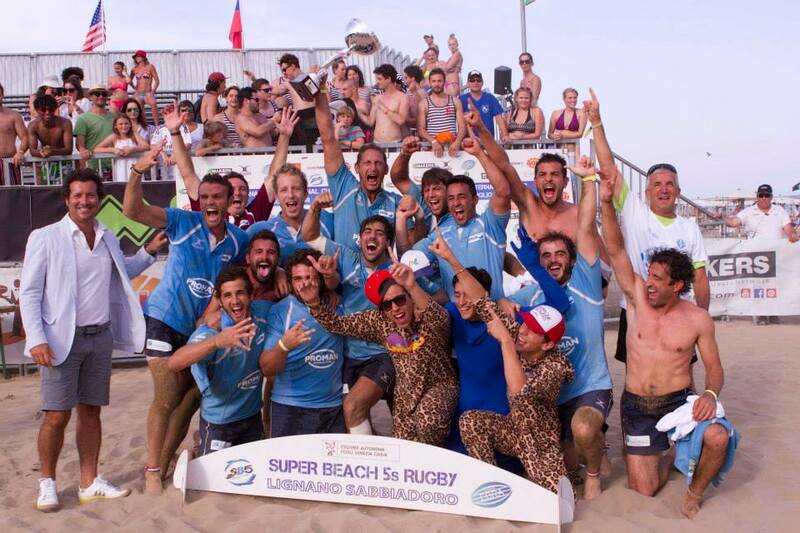 Already with victories in 3 Legs of the 2014 EBRA BEACH 5s Series – Barcelona, Marseille and Figueira (Portugal) – they had been installed as hot favourites for the final Leg in LIGNANO. And while they did encounter tough challenges, in the semi-final from THE MAGNETS (Belgium), and ultimately in the Final from PADOVA BEACH (Italy), nevertheless the French proved they had the right balance of skill, courage and experience to fulfil their promise. The final against PADOVA BEACH was a physical affair, the Italian’s not allowing the men from MARSEILLE the space and freedom to do what we know they do best. But when OVALE BEACH needed it most, the magic that they had demonstrated throughout the weekend shone through and the 5-3 final score earned them a totally deserved win. This victory in Lignano also meant OVALE BEACH retained their title as EBRA BEACH 5s SERIES CHAMPIONS for 2014.